At Microsoft, nothing exemplifies the morale of student innovation more than the Imagine Cup, Microsoft’s premier global student technology competition that legitimizes the next generation of computer science students to come aboard and use their ingenuity, dedication and knowledge of technology to build applications that shape how we live, work and play. Year in and year out, these young developers create stimulating and creative ideas as they attempt to reinvent the world around them through the power of technology. This year is no different. Over 150 universities and schools from Visayas submitted their startup proposals and only 10 teams were selected for the semifinals. 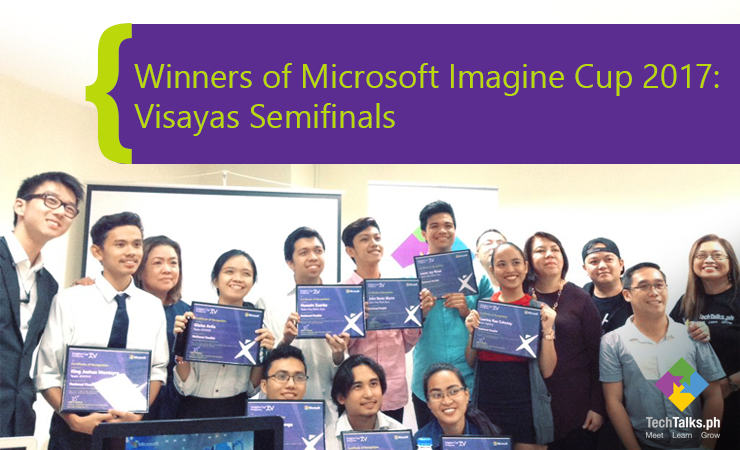 The Microsoft Imagine Cup 2017 Visayas Semifinals was held on April 3, 2017 at the University of the Philippines Negosyo Center, Lahug, Cebu where the 10 finalists presented their startup proposals. The students were judged by Grace Granlund from Midash.ph, Cebu Provincial Director (PD) Nannette Arbon of Department of Trade and Industry (DTI) - Cebu, Seph Mayol from Hoy! Rewards App and Joben Rara from Microsoft Philippines. After 5 hours of extensive presentation and in-depth inquiry from the judges, the three teams who emerged victorious were from University of the Philippines Cebu , University of San Carlos and Cebu Institute of Technology University. These 3 teams will proceed to the National competition in Manila on April 17-18, 2017. The winner of the National competition will then represent the Philippines and bring their unique visions for the future to Seattle, USA to compete in the Imagine Cup World Finals with a grand prize of US$100K on July 26 – 29, 2017. On behalf of Microsoft Philippines, TechTalks.ph would like to offer the winners and all the students who dreamed big and worked so hard throughout this year’s Microsoft Imagine Cup 2017 Visayas Semifinals a sincere and well-deserved congratulations! TechTalks.ph helps make your events successful. If you have ideas and opportunities in the field of technology then we are the organization for that. Contact us TODAY at info@TechTalks.ph!